We have your ecommerce marketing solutions! Just like a brick-and-mortar store, ecommerce sites need to be designed and operated in a way that maximizes customer engagement and encourages visitors to make a purchase. Ecommerce marketing from SEO Brand can help you achieve that. Ecommerce visitors generally have less invested in their visit than someone who has physically entered a store. They didn’t make a specific trip to get there, and are usually looking for a specific item, more than a general browsing of all inventory. Most importantly, leaving is as easy as pressing the back button on the toolbar. To keep your audience on the page, you need a customized ecommerce marketing strategy that engages with visitors and encourages them to perform actionable conversions. SEO Brand can help build your ecommerce website or optimize your current website with ecommerce SEO services that are personalized to your business’s unique needs and sales objectives. SEO Brand provides targeted SEO for ecommerce businesses that help drive traffic to sites and keep visitors on the page. As an ecommerce SEO agency, we specialize in turning visitors into customers by making easier to navigate and web and mobile friendly pages. You’ll get a personalized team of ecommerce pros who will create a specialized plan, unique to your brand and target audience. Effective SEO for ecommerce sites starts with understanding exactly who your customers are. At SEO Brand, we’ll dive deep into the specifics of your analytics, target audience, and user behavior. Our ecommerce experts will help you define the demographics and actions that are unique to the consumers you are trying to draw to your products, and we’ll also analyze each user’s behavior on your site in order to correct any difficulties a potential client has while navigating through the pages. Our SEO for ecommerce website strategies are customer and client based, with close attention paid to optimizing every aspect of your page that helps convert customers and keep them returning. The process of turning strangers to your brand into purchasers through forms and offers on and off your site. 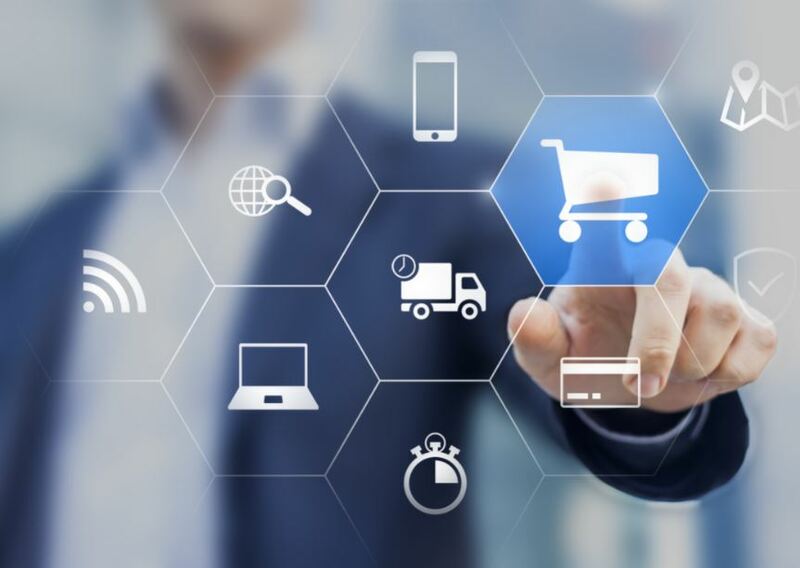 Finding ways to reduce instances of shopping cart abandonment as well as enticing those who have unpurchased items to return and finish their order. Creating targeted PPC campaigns as well as on-site, email, and social media promotions that drive in new customers and encourage existing customers to make another purchase. Boosting ecommerce sales by providing customers will additional options related to products they’ve already shown an interest in. While it may seem like its own distinct strategy, ecommerce SEO marketing is actually closely related to general SEO marketing. The goal with both is to increase your brand’s authority, popularity, and relevance, with the end result being more traffic and a better conversion rate. Unlike general SEO, however, ecommerce SEO is less about search engine behavior and more about consumer behavior. It’s still important to know how your target audience is searching, but there’s the additional necessity of knowing how they’re acting as well. SEO Brand is an established general SEO and ecommerce SEO company with a strong commitment to understanding trends in consumer behavior and website conversion factors. We’ll help you grow both your business and revenue by focusing on innovative and creative strategies that work. Our years of experience in SEO marketing mean that we’ve got a leg up when it comes to finding patterns, making insights, and selecting best practices. Ready to take your ecommerce marketing strategy to the next level? SEO Brand can help you speed ahead of your competitors with personalized campaigns that are specially designed to resonate with your ideal consumer base. It’s always the right time to go bigger and do better, so give us a call at 800-262-5023 or send us an email at info@seobrand.net.